The Zittau Mountains appear to be a rather gentle landscape at first sight. But its slopes are pierced by scattered rock formations, much to the delight of climbers. The most famous rock is the large formation at Oybin which resembles a beehive. 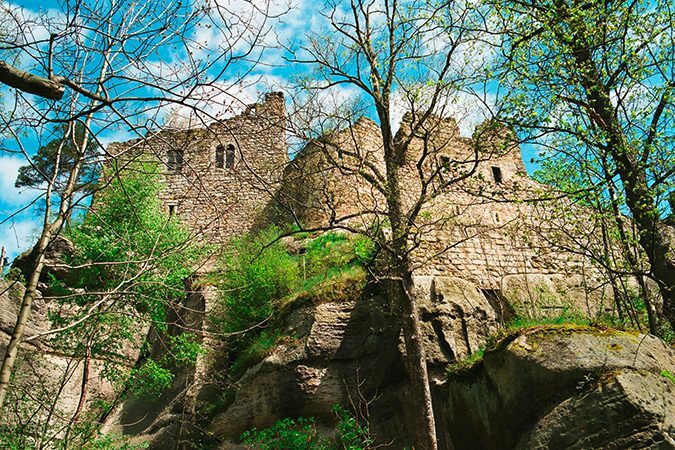 The ruins of the former castle and monastery on top of the rock are very popular with tourists. So special are “Umgebinde” houses that there is no English word for them. 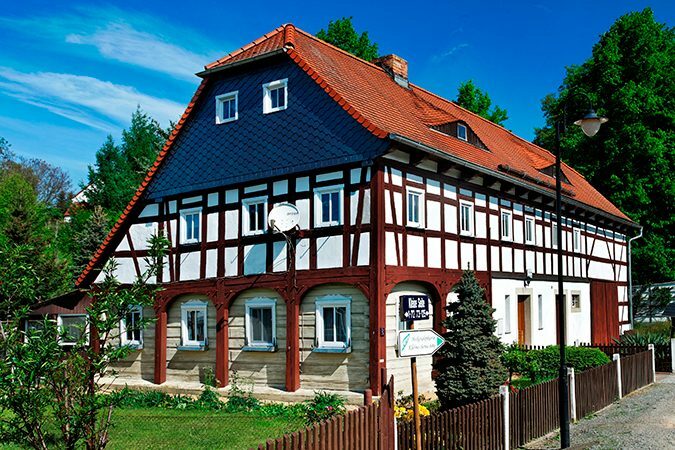 They were created by merging Slavic block houses with German half-timbered houses. In the Zittau Mountains and the adjoining hills, thousands of these charming hybrids can be found. There are many touristic structures in these houses, including a number of places where accommodation is offered. A traditional way to get up the Zittau Mountains is to use a narrow-gauge steam train from Zittau which is connected to the normal railway system. Trains run to both Oybin and Jonsdorf and it is possible to see trains depart in both directions at the same time at Bertsdorf station. There are three more narrow-gauge steam trains in Saxony which operate on a daily basis: From Radebeul to Radeburg and from Freital to Dippoldiswalde, both within easy reach from Dresden, and from Cranzahl to Oberwiesenthal, Germany’s highest town in the Ore Mountains. 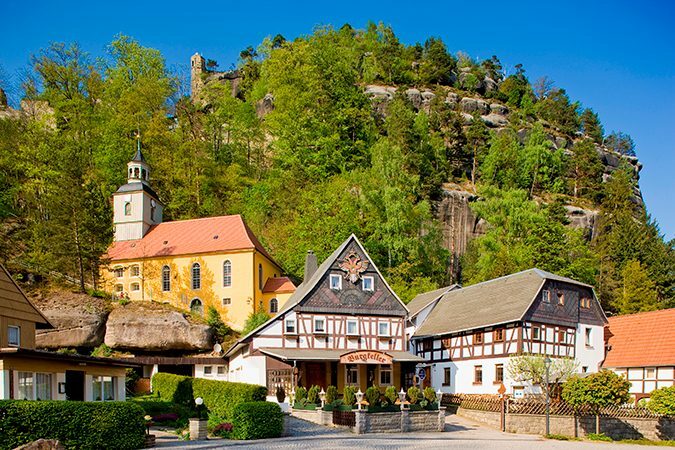 Once Zittau was a wealthy town and even today it is very picturesque. Located on the border with Poland and the Czech Republic, Zittau offers a beautiful town centre and something that is unique: The Zittau Lenten Veils were used to hide the church altar during Lent and are the only ones in Germany. The larger one is displayed as the sole exhibit in a former church while the smaller one is in the town museum, located in a former monastery.